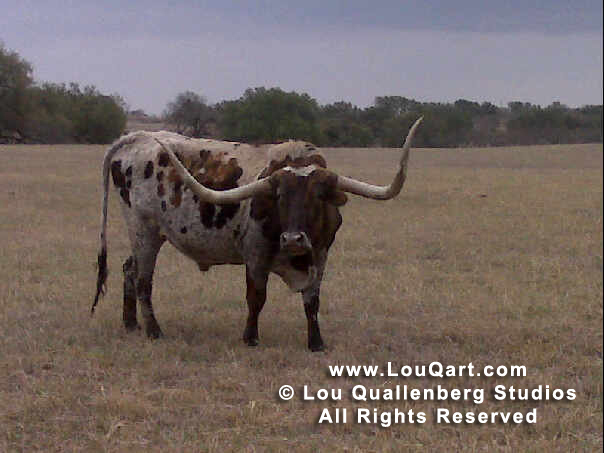 You can find us in the beautiful Texas Hill Country. 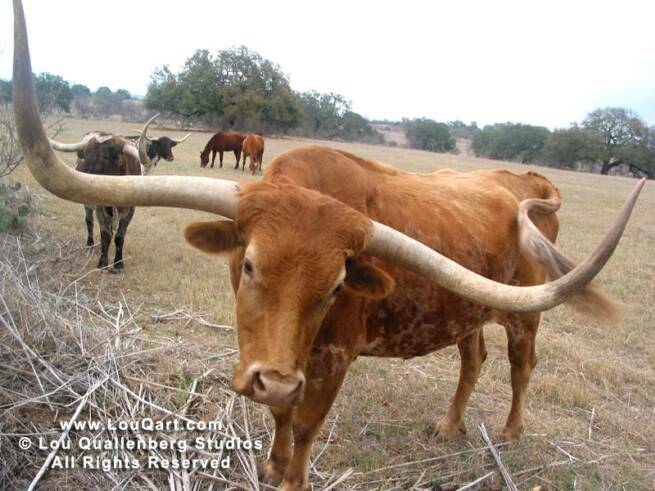 We can't guarantee that you will see these friendly longhorns if you visit us at Lou Quallenberg Studios. 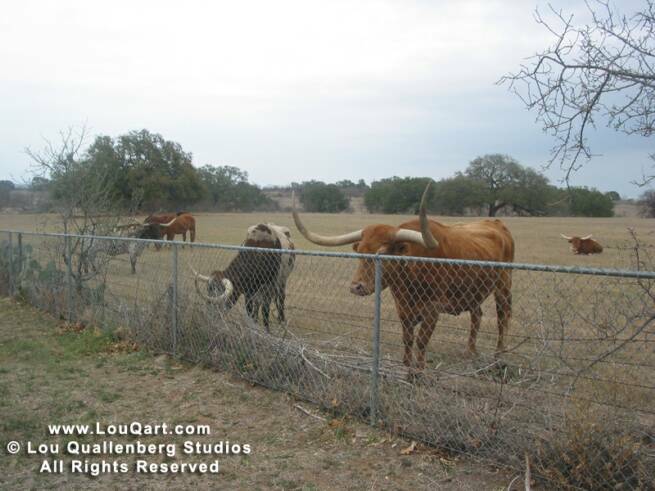 We do have regular longhorn sitings around 6pm at the back fence. 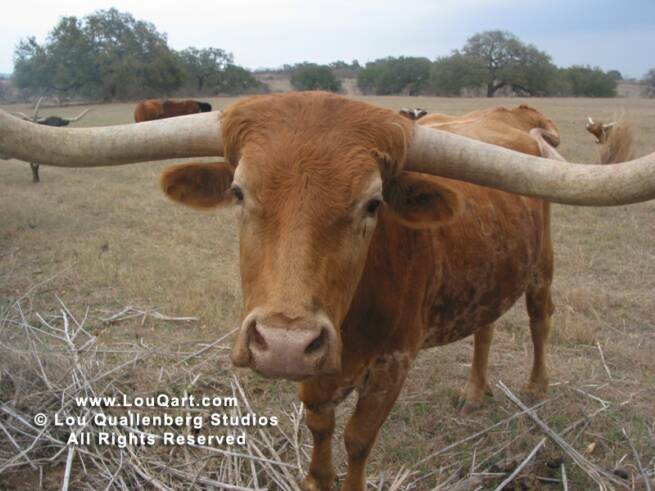 So bring a few apples and your camera when you come to visit us at the shop.